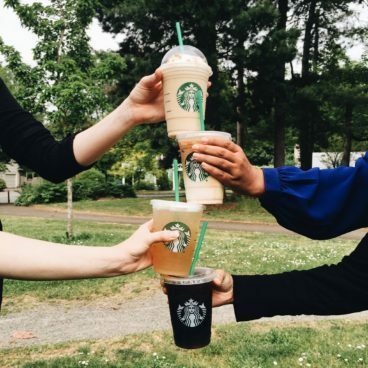 Buy 3 Get 1 FREE Cold Handcrafted Drink at Starbucks! You are here: Home / FREEbies / Buy 3 Get 1 FREE Cold Handcrafted Drink at Starbucks! Buy 3 cold handcrafted beverages, get 1 on Starbucks! Every day after 2pm, through 5/31 get more beverages for less at Starbucks. No coupon necessary! Find out more on the Starbucks Facebook page!